The educational technology sector is growing fast, with schools, colleges and universities more than ever looking for the best ways to use technology in the classroom. At the same time, there is an increasing appetite for learning and teaching practices to be backed up by evidence. However, there are few resources that bring these two things together. - and how technology can support teaching. The book is an accessible introduction to learning and teaching with technology for teachers and other educational professionals, regardless of their experience with using technology for education. 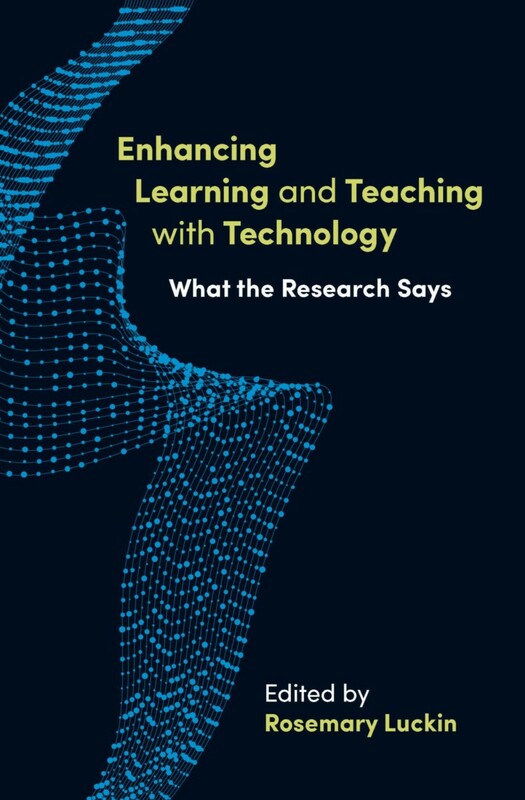 "This is an important and timely book for schools struggling to know what technology can help hard-pressed teachers in the classroom. It is hard for schools to know who to believe as new products are pushed at them all the time. This academic analysis answers their need." 1.3 Context and learning by Rosemary Luckin. 2.6 Learning with iPads: ‘Makes learning fun’ by Patricia Davies. 3.3 Improving learning through engaging spaces by Allison Allen and Richard Allen. 4.4 Learning across locations and settings by Ann Jones, Eileen Scanlon and Koula Charitonos. 6.3 Technology to provide educational practitioners with the expertise they need by Kaska Porayska-Pomsta, Christina Preston, Charlotte Lærke Weitze and Sarah Younie.